The sixties were a musically productive time for the Wollongong region. Local bands such as The Marksmen, The Executives, The Wanderers, Earl's Court and more played in the various venues, community halls and bars dotted throughout the city and its' suburbs. Acts from Sydney, Brisbane, Canberra and Melbourne would often call through on a Friday or Saturday night, and if you were lucky enough to be a teenager during that period you may have seen the likes of The Easybeats, The Twilights and The Loved Ones in their prime. 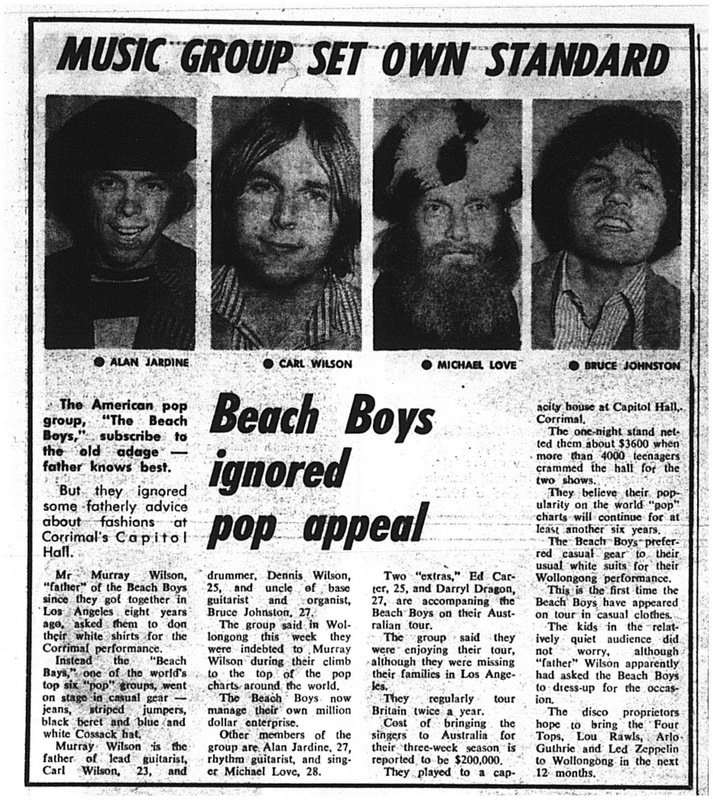 But in 1970, Wollongong got it's first taste of international pop culture as The Beach Boys played two shows on the same date at Capitol Hall, Corrimal. Run by newly-weds Zondrae and Wayne King, Capitol Hall was situated where Northern Bowl now stands. 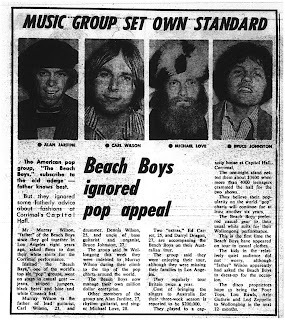 It's history is one that I hope to detail in more depth in the not-too-distant future, but for now you can read how the Illawarra Mercury reported the Beach Boys visit.